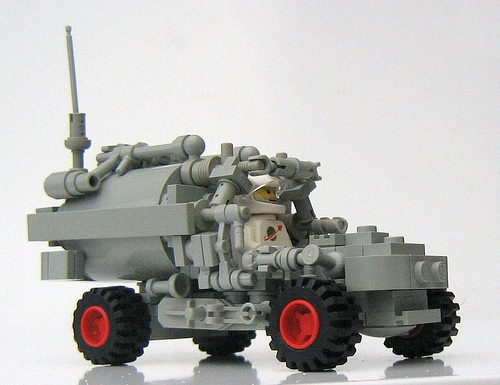 Peter Reid may be best known for his bots, but his most recent creations have included several modernized versions of Space sets from the “Classic” era of the late 1970s and early 1980s. Don’t miss the full photoset on Flickr. The big ship loogs a bit like a Klingon space ship!